Yesterday my plans for today were to walk up Ben Vrackie near Pitlochry but the weather had other ideas. I know, I know, I shouldn’t let a bit of rain put me off but for me when I reach the summit of a hill or mountain I would quite like to have a view. A good, clear view. So anyway, the Dude and I decided to visit the Poppies Weeping Window sculpture instead. 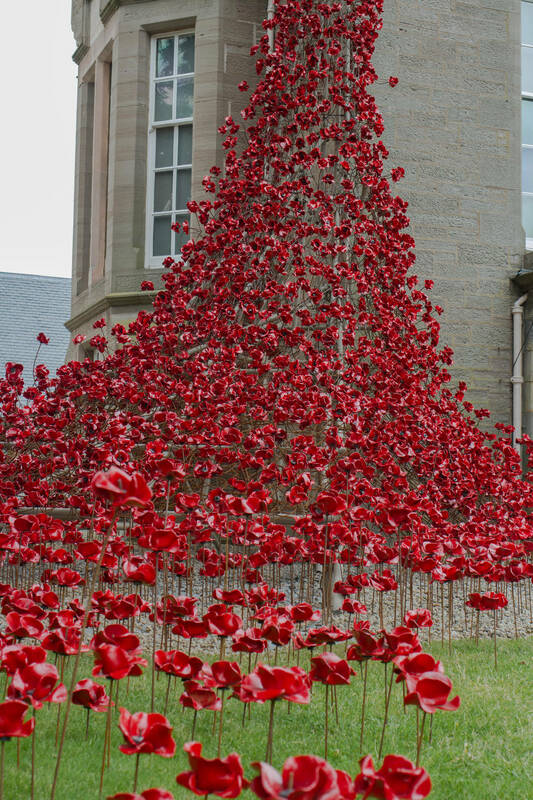 I have known for quite some time through social media that these beautiful poppies would be visiting The Black Watch Castle and Museum in Perth. The exhibition, which is free, opened on the 30th June and will be in the Fair City until 25th September, so there is plenty of time during the school holidays to go and see this rather moving piece of art. 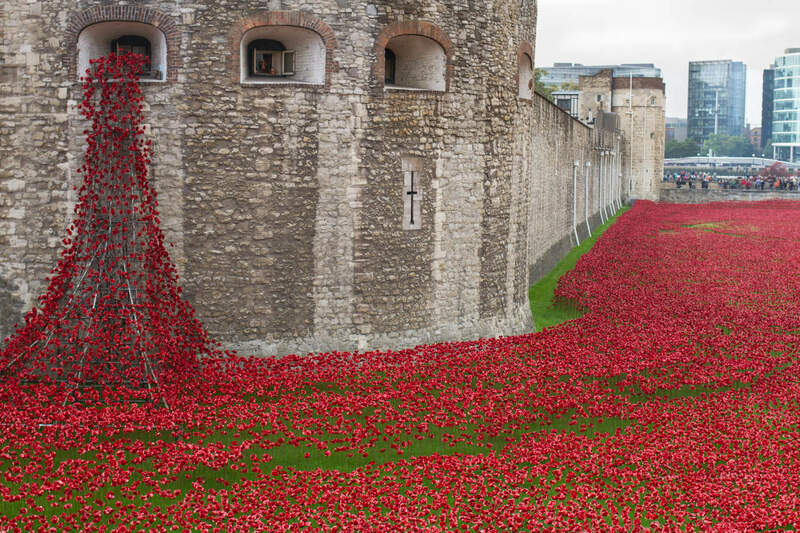 Originally part of the “Blood Swept Lands and Seas of Red” installation at the Tower Of London in 2014, where 888,246 ceramic poppies were planted, each represents the life lost of British and Colonial soldiers during the First World War. I was lucky enough to have witnessed this piece of art and I can’t explain how it makes you feel. It was quite overwhelming and emotional. Never have I seen something of this scale and it didn’t matter that I was surrounded by thousands of other people, I was still lost within my own moment of reflection and awe. And yes, it made me cry! 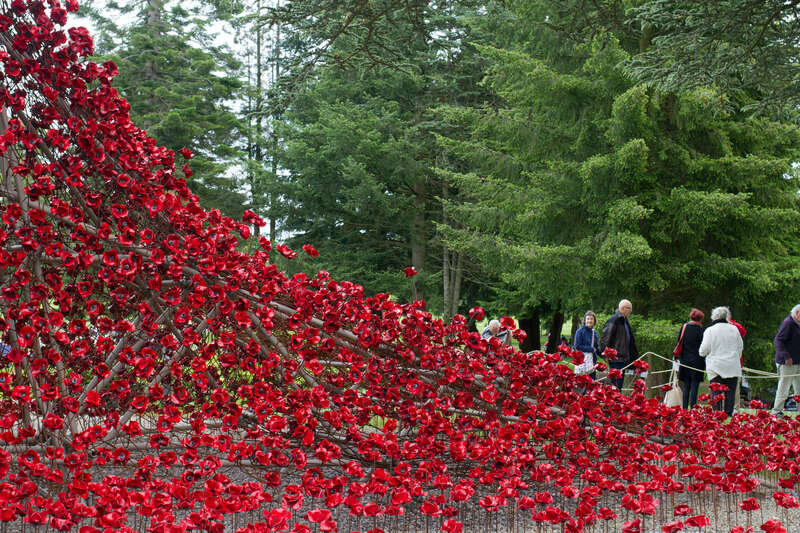 Entry to see the Poppies is free but donations are gratefully received and goes toward the cost of hosting the sculpture at the museum. Volunteers are on site too, to help visitors have a memorable trip to the museum, answer questions and as I saw one gentleman offer, to take your photo in front of the weeping window too. The benefit of seeing this again is that I was able to appreciate that every single one of these red flowers are unique. Individually hand made and no two are the same! The artist, Paul Cummins and his team really did excel themselves with this. At the Black Watch Castle and Museum visitors are within just a few metres of the nearest flower to see exactly what they are like. When the original display of poppies was removed from the Tower, they were put on sale and we were lucky enough to buy one. So we shall forever have a piece of history. There are several linked activities being held at the Black Watch Castle and Museum which you may wish to get involved with during your visit. You can, of course follow your visit up with time in the castle and museum (this is to be paid for as normal entrance fee) and maybe then treat yourself to a coffee in the cafe to make a day of it. Well worth a visit and a great attraction for the summer in Perth. I highly recommend going to see the Poppies Weeping Window. If you don’t want to miss out on any of my adventures, reviews or photos you can now subscribe to my site below. Ah how fabulous. We were also lucky enough to see them in London, and we actually have one of the original poppies. They really are beautiful.